Circle loading spinnerImage of a partial circle indicating "loading." Fancy Soups is a new kind of soup company. We know a lot of companies like telling you that these days. And usually all they have to offer is some nice branding and annoying Facebook ads applied over an old business. 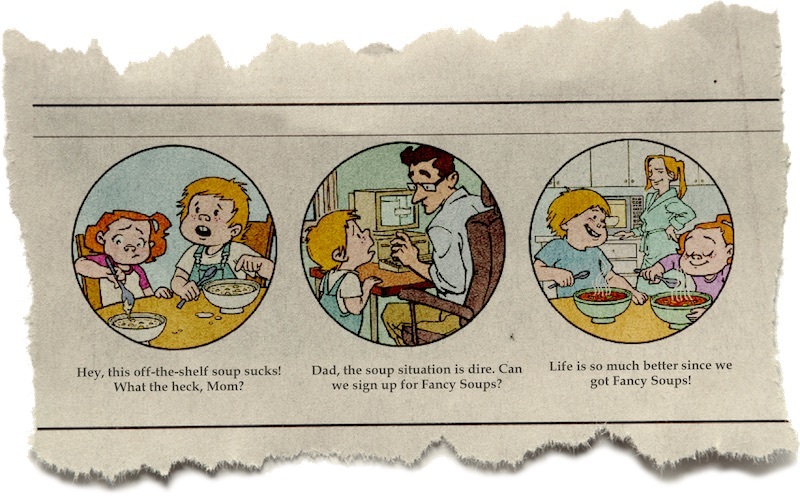 Luckily for you, Fancy Soups isn't one of those companies. Sure, we're a soup company about to offer chef-designed soups in cans designed by award-winning artists, and yes, there may come a day we run some Facebook ads to promote the fact that our high quality soups can be delivered to your doorstep at affordable prices. What really sets us apart is a deeper investment in our craft. We believe that our work shouldn't be limited to making Fancy Soups the best soup company of our generation. 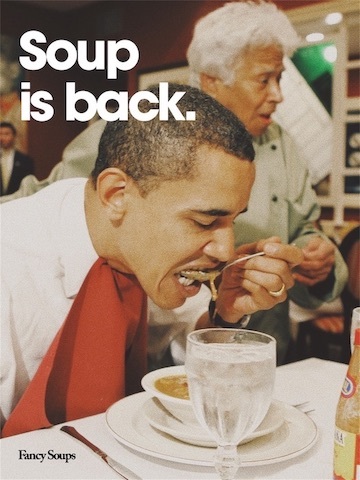 To really make an impact, we need to make soup the most popular food category of our time. While we may never reach the peaks of the early centuries (when soup was often the most convenient and affordable meal), we can certainly work to rebuild a mid-1990's level of popularity. 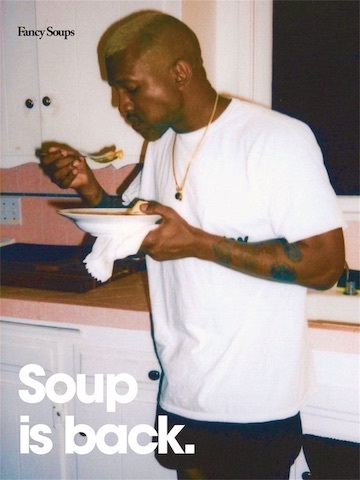 To raise the profile of soup in popular culture and increase the size of the overall market, Fancy Soups is investing capital and resources in independent artists and media businesses that can re-popularize soup with our target audience. 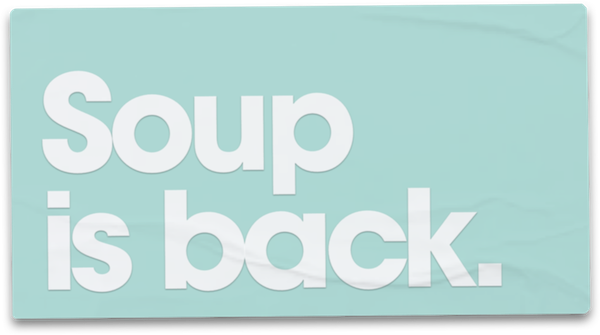 Fancy Soups will begin shipping original soups in 2019, and aims to develop a new peak for soup popularity in the USA at the time of our launch.